Giveaway ends July 22, 2018. Want to stay in touch? 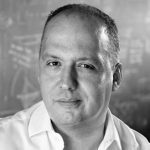 Learn about new releases and offers? Please subscribe the newsletter. C.A. 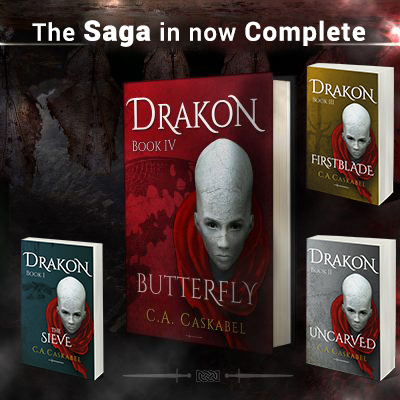 Caskabel started writing Drakon in 2013 and completed the 400,000-word epic fantasy novel in 2016. 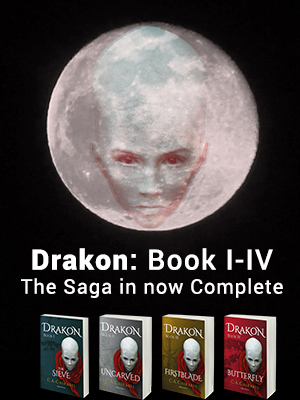 He split Drakon into four books which he will release within 2017, he promises. After all, he is eager to start working on the next novel. C.A. is also the founder of an indie publisher of picture books and fantasy fiction. Before 2013, C.A. was a serial technology entrepreneur. He studied at Boston and Brown University. He calls Boston, New York, Providence, San Francisco, London, and Athens (and in general Planet Earth) home.